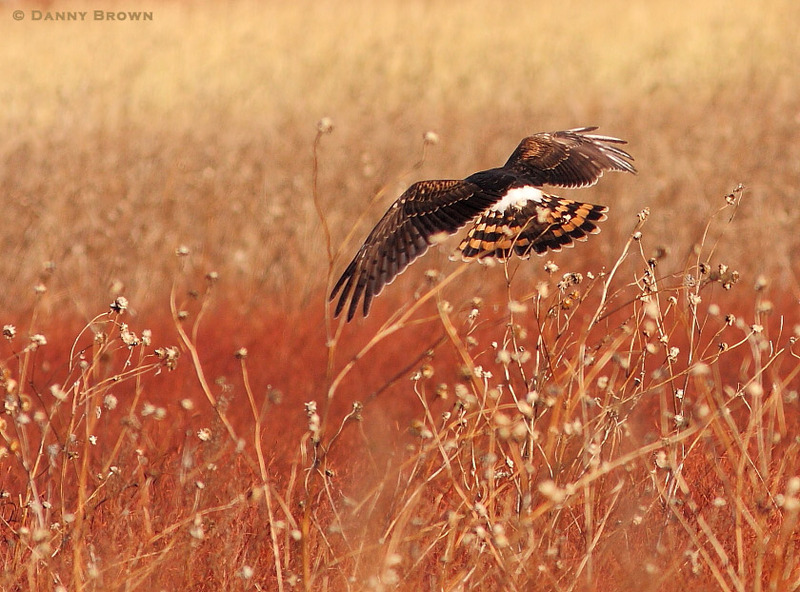 I couldn’t think of a better welcome to October than this image of a female northern harrier sweeping a prairie for forage. I made this shot in 2008 and although it does not represent my typical effort to capture a razor sharp eye and feather detail, it remains one of my personal favorites. The chestnut-colored, fall prairie provided a perfect background for the harrier as it fanned its tail for a flight maneuver. I actually made the image from the passenger window of my Chevy truck while my friend, Lynn Schrader, did the driving. We still joke about his Steve McQueenish driving skills as he responded to my screams of “Stop!” and “Go!” and “Now turn the engine off!” Although I often preach about the laziness of shooting wildlife from a car window, this was a great example of its occasional effectiveness. If you are wondering where I made this painterly image, it was actually in Kansas. I’ve made a few trips out there over the years and found the isolation and beauty of its wetlands and prairies to be inspiring. If I go again, my subject will be the burrowing owls that my pheasant hunting buddies have pinned down for me. I’ll keep you posted.